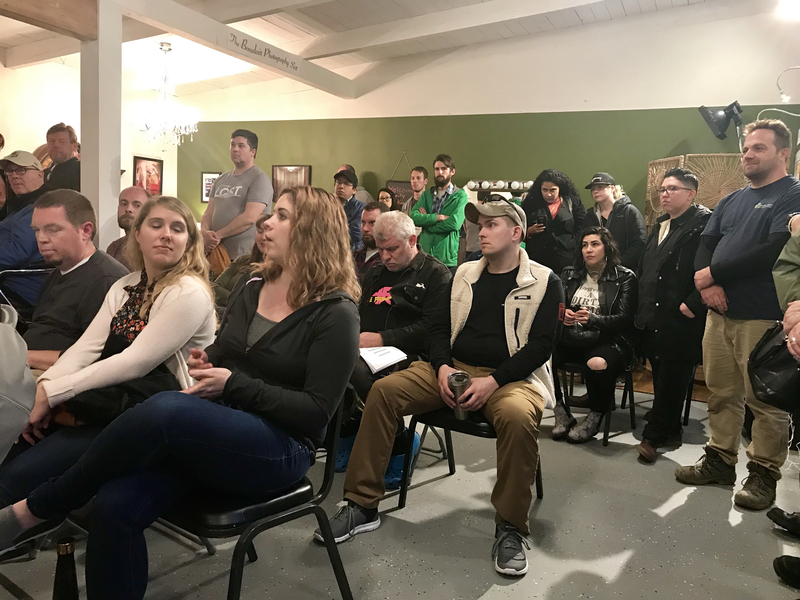 About 30 people attended the White Center neighborhood gathering on Thursday. On Thursday evening, the King County Sheriff's Office (KCSO) held a White Center community gathering with Deputy Sheriff, Bill Kennamer at RJB Photo Studio. “It’s now the best it has ever been,” he said. Kennamer told the crowd that only the perception of safety has gotten worse, and speculated that it’s due to social media. When a crime gets captured on a mobile phone, it can be shared on social media like wildfire, creating a distorted awareness. However, the month of March did see an uptick in crime. Still, March took a toll on the department. “We got crushed last month,” Kennamer admitted. But overall, crime rates are the same or down. Burglaries have also remained steady. Kennamer emphasized that White Center is in great shape. At the end of March, Jennifer Danner, crime prevention coordinator with the SW Precinct at the Seattle Police Department, posted a robbery crime prevention bulletin that gave the opposite impression, especially in regard to robberies. But the sheriff’s department countered that assessment with current data and statistics. For updated information on crime happening near you, visit the Seattle Police Department’s Online Crime Maps page. Don't forget that we need to pick up garbage on our block, paint over graffiti completely. I see worse, not better, to many personal attacks still going on. I have to ware protection when I am in the White Center Area! !